Not all medical conditions are apparent and obvious at first glance. In the US, it is estimated that 74% of Americans who live with a severe disability do not use devices such as a wheelchair, crutches, or walker. The absence of an assistive device can often lead to misconceptions about a person's health and ability. Every day, people living with invisible disabilities face challenges in getting their rightful privileges from something as simple as accessible parking to getting the proper medical care and attention that they deserve. Can Medical IDs for Invisible Disabilities Help? National health organizations such as the Center for Disease Control and Prevention (CDC) strongly recommend wearing medical IDs. Medical IDs are a simple way to communicate important medical information such as an invisible illness or disability to first responders during an emergency. 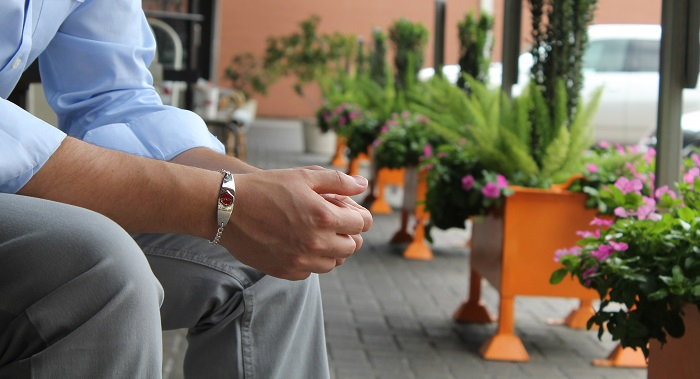 Medical alert jewelry is most commonly worn as a bracelet or necklace and 95% of emergency responders will check for the presence of a medical ID. Wearing a medical ID helps prevent misdiagnosis, unnecessary hospital admission, and assists in providing safe, suitable, and timely treatment for people living with medical conditions. Self-advocacy is an important component of living successfully with an invisible medical condition. Organizations like Invisible Disabilities provide tools that help impacted individuals speak up for their rights at hospitals, public transport, and work for example. One of these tools are medical IDs that help spread awareness of invisible illnesses such as Chronic Fatigue Syndrome (CFS) and Fibromyalgia (FM). In a medical situation, engraved information on medical alert bracelets or necklaces make it easier to communicate and draw attention to an illness that is otherwise unseen. Medical IDs bear the international medical symbol of the serpent coiled around a staff which is easily recognized by health professionals around the world. Wearing a medical ID can help others take your situation more seriously and move past misconceptions and stigma around invisible disabilities. 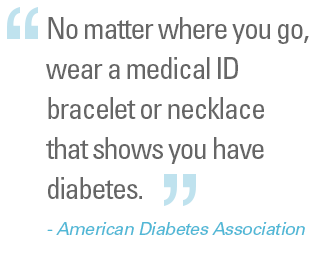 Medical IDs are intended to be worn at all times so you should start with considering the type of jewelry you’re comfortable with. EMS personnel are trained to look around the neck or wrist which gives wearers a choice between a medical alert bracelet or necklace. Other important considerations to make include your lifestyle, comfort, and length of engraving. Your medical ID should be custom engraved with your personal medical information. Carefully consider what to engrave and ask your doctor for help as necessary. It is important to evaluate what health information you wish to engrave or omit, especially consider how others may interpret it.